This macro adds a task to the top of your TaskPaper document. 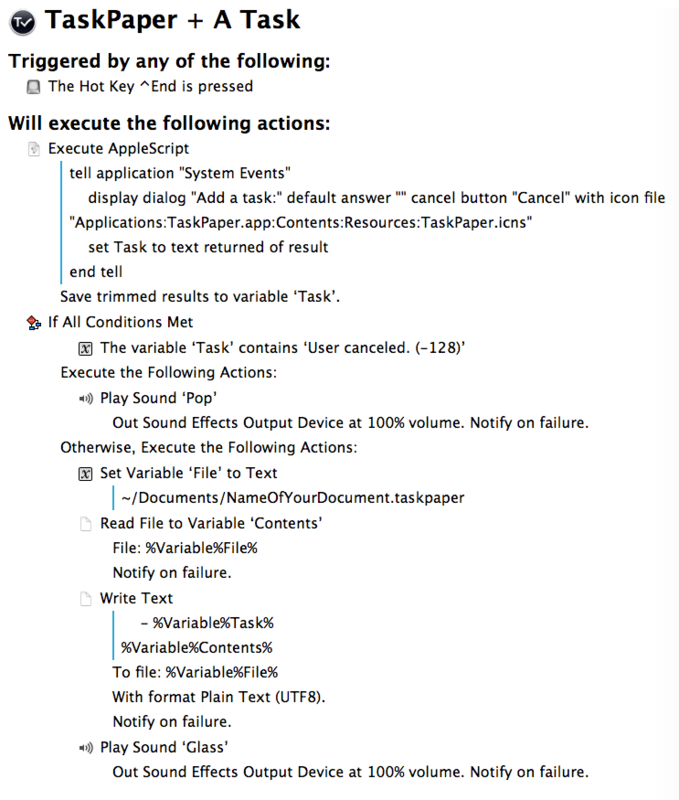 It has one advantage over TaskPaper’s Quick Entry: TaskPaper does not need to be running in order to add tasks. This is valuable for me, as it provides what David Allen describes as a ubiquitous capture tool. At the moment of inspiration, I can capture my thought immediately into my trusted system. The macro prefaces the task with a tab, dash and space, so that the entry is formatted as a task. It is triggered by ⌃End (Control + End) — which can be changed in Keyboard Maestro. 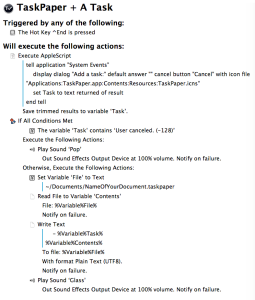 The macro expects that the TaskPaper app is in the Applications folder. If you have it elsewhere, then you will need to edit the AppleScript section so that the icon location points to the app location.